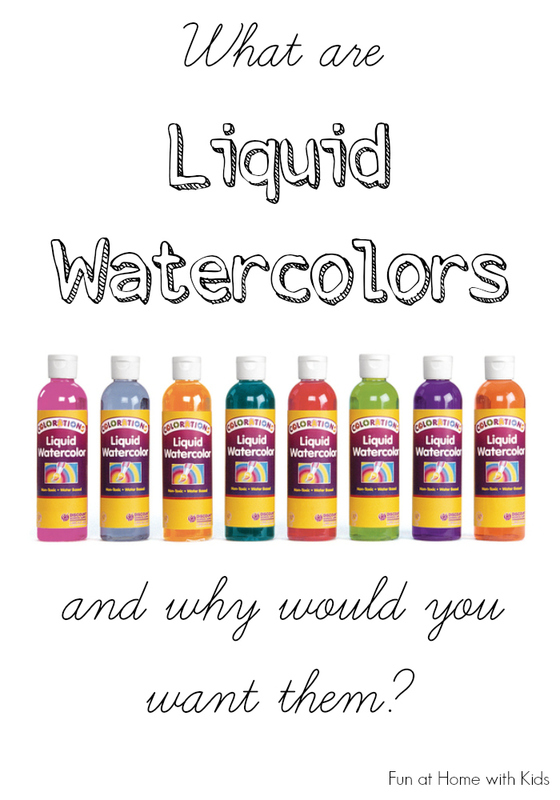 What are Liquid Watercolors and Why Would You Want Them? If you've spent any time nosing around my site, you've probably noticed that I am slightly...OK, maybe more than slightly...obsessed with Liquid Watercolors. Since Liquid Watercolors are not an art supply you typically encounter, and definitely not one that you typically see on a list of kid's art supplies - I figured it would be a good idea to write a post all about what Liquid Watercolors are, how we use them, and also provide some ideas for different brands of Liquid Watercolors and where you can find some of your own! So what are they and why do I find them SO amazing? First off, they are a fabulous substitute for food coloring. They are WASHABLE, they are more vibrant, they are easier to use. Not to mention, unless you get some sort of crazy deal on your food coloring - they are also cheaper! It used to take me at least a whole pack of food coloring to make a batch of rainbow rice. I barely put a dent in our liquid watercolors doing the same thing. So while the initial investment is more than a box of food coloring - ultimately this will save you money if you add color to your sensory plays and projects. Next, they are gorgeous GORGEOUS watercolors. We used to use the regular colored disc watercolors, but they get mucky quickly and it's also hard to find a brand that produces bright vibrant colors. Now when S wants to paint with watercolors, I squirt a little of each color she wants into a ice tray or into some plastic cups (depending on the project). It's much easier and less messy and the results are phenomenal. First up is Discount School Supply. Their Colorations Liquid Watercolors are only available through their site and only available in the US. They have lots of options and lots of color choices. If you'd like to get a starter set, you could either get all the color of the rainbow in individual Colorations Liquid Watercolor Paint 8 oz. 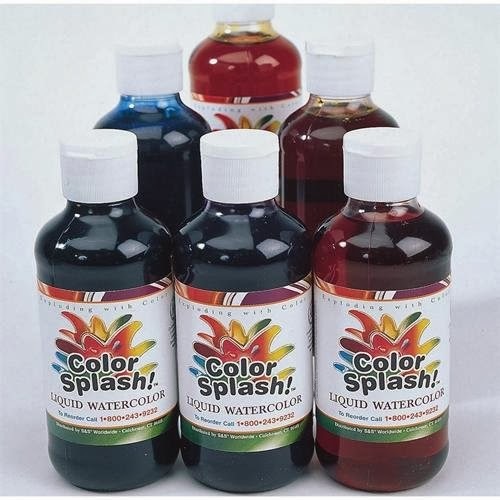 bottles or you could get their set of 8 Colorations Tropical Colors Liquid Watercolors . We have all of them, and love them all - though the colors in the tropical set are pretty amazing, so that might be my recommendation. 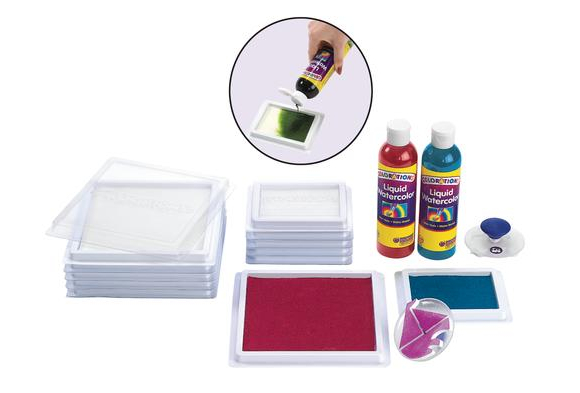 Oh and if you go with Colorations Liquid Watercolors - they can also be used to make your own stamp pads or refill their rainbow stamp pad - how amazing is that? (We have the giant rainbow stamp pad and love it). Next up is Sax Brand Liquid Watercolors. We have a set of these and they are also amazing. Sax is available through Amazon and also available in Canada through School Specialty. 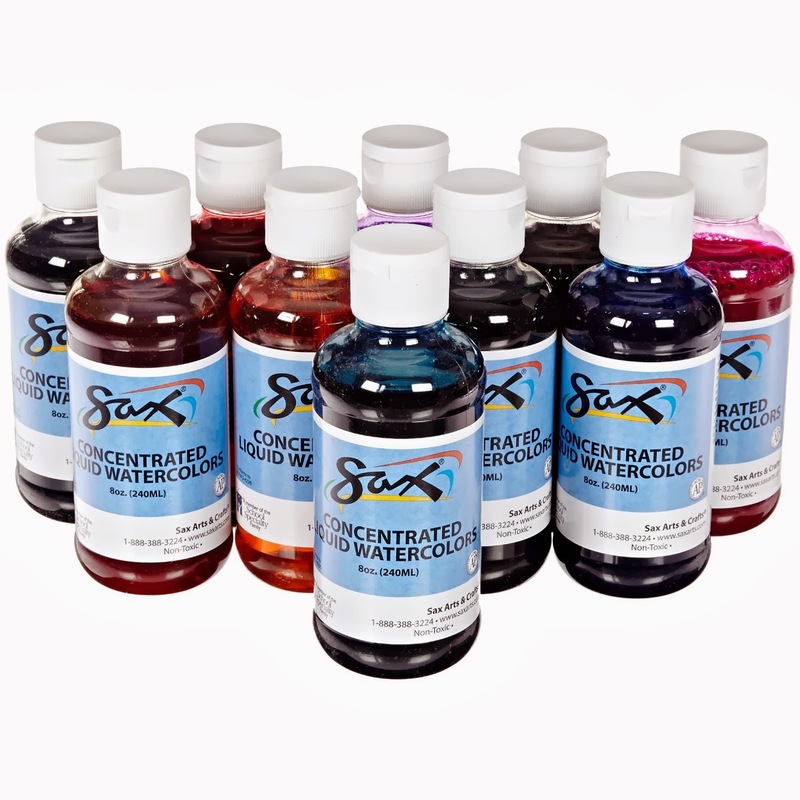 Via Amazon you can buy Sax Liquid Watercolors by the bottle , or in an intro set of 10 bottles . Next up are Blick Liquid Watercolors. Though I haven't personally used these, they are highly rated everywhere I checked on the internet, so I feel fine mentioning them here. They are available in Blick Art Stores to my knowledge, so if you happen to have one of those in town, you could actually get some in a store (they are wicked hard to track down in stores for some reason!). 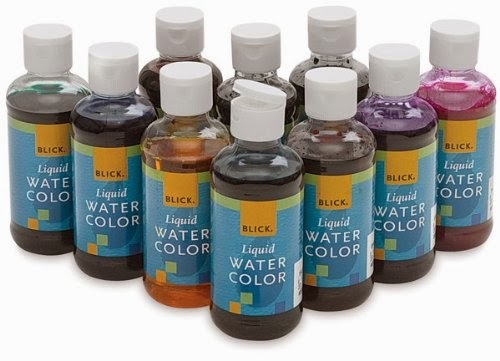 You can also order a starter set of Blick Liquid Watercolors via Amazon . Finally we have Color Splash Liquid Watercolors . Again, I have not tried these, but they are highly rated everywhere I found them on the internet. They also have the added advantage of coming in a teeny little one ounce set and being available to my UK readers via Amazon. So there you have it! Liquid watercolors = full of awesome. I really do think we spend so much less on coloring things because food coloring is pricey and we use SO much of it to get great color. Conversely an 8 ounce bottle of liquid watercolors lasts nearly an entire year for us. And we color things all. the. time. And you just can't beat washable color. Trust me. In Canada and looking for liquid watercolors? Our readers recommend this shop. 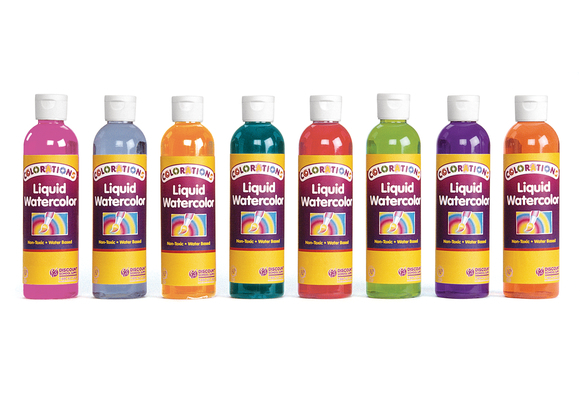 In Australia and looking for liquid watercolors? Our readers recommend this shop. Curious about all the ways you can use liquid watercolors? Click here to be taken to a list of all the projects we've used them in!!! Totally a great description of them, PJ! They are so so so beautiful, right??!!! Yes, we just got the gold and silver recently and they are amazing as well! Great post! I had no idea you could use them for stamp pads. Great idea! Discount School Supplies is the best! Isn't that so awesome!??! Most washable stamp ink ever. They totally are!!!! Ooooh I want those stamp pads...we are newly stamp obsessed! It is so expensive to be your blogging buddy, hahaha! Thanks for the info- we love our Colorations liquid watercolors! Thank you for sharing! Appreciate it! Are these safe to use for the edible projects like slime and water beads or do they need to be done with food coloring? Oh, brilliant! I hadn't thought of that! 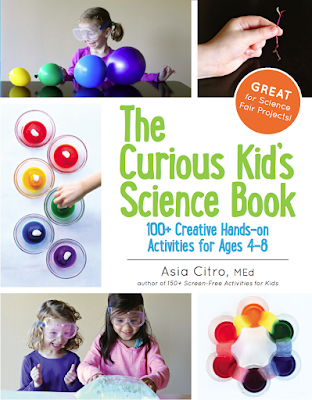 Do they stain hands like food coloring can? Yes and no. Some colors don't at all. Some do (most notably the red/purple variety), but they wash off MUCH faster than food coloring. Usually after a long handwashing it's nearly all gone and after a subsequent handwashing I can't see it at all. I'd love to try these, but I'm having trouble purchasing them as I can't find anyone who will ship to Australia.... Do you know where I can source these? Argh! It makes me so sad that these are so hard to find outside the US! 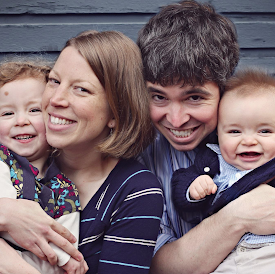 The person to ask is Kate Gribble of An Everyday Story blog. She's an Aussie and I know she found them through a local store, but I can't remember where. If you ask her on her blog, she'll set you up!!! Hope that helps! Awesome! It looks like Riot has an "Art Star" brand and I also see the DSS brand we use at Educational Experience (www.edex.com.au). Ooh great idea!!!! No you shouldn't have any trouble. The only problem I've ever had is temporary staining of white grout when I get concentrated liquid watercolors there. Hope that helps! Can anyone offer any input on what this product is like? Thanks! Your colors are so bright! I still use food coloring (icing colors) but I might buy some liquid watercolors. Thanks for all your great ideas! I'm currently hunting for liquid watercolours (inspired by this and a few other blogs, I just 'must' have them). I've found the brand, Sargent on Amazon with shipping to Australia. It recommended by a few other sites. Do you have any experience with it? Or thoughts on how it compares with Colorations? I have found a local supplier for Colorations (I'm not sure where they are physically but they delivery to all of Australia) and so I'm weighing up which is more economical - the Sargent from Amazon where I can get a set and add a few metallic colours in one shipment; or individual bottles from the local supplier. This is why I ask about the benefits of each. I'm happy to wait on an amazon delivery if the good are ... well, good or significantly better than I could get here. And vice versa, to pay more for the local ones and have only a small collection of colours. As another local update, I found a brand called 'art star' in the craft store, Riot, last week. They are marketed specially as a kids product. I tried them to colour rice this afternoon and I have to say the result is disappointing. I got a much more vibrant effect (on rice, using less volume) using food colouring last week. 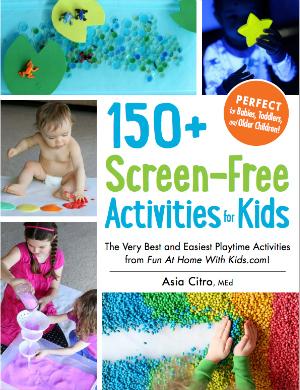 Hi Asia, I live in France and I have just ordered your book "150+ Screen-Free Activities for Kids" by Amazon. Do you have any idea where I can find them? Or what could be the best alterntive? Food coloring? Hi Alvaro! 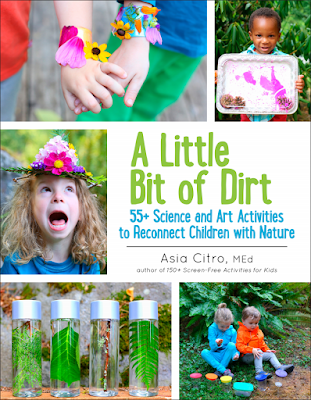 Thank you so much for ordering one of my books! :) :) :) Unfortunately liquid watercolors are only common in the US and Canada -- and I don't know of any sources in France. :( In the book there's a recipe for how to make a substitute using food coloring and another recipe for how to make a substitute using natural dyes from food. I'd probably use one of those if I were you since shipping liquids internationally is sooooo crazy expensive. Which brands have you experienced as washable? When I read reviews they say they aren't so I am nervous to use as spray paint/driveway activities with my 3 year old. Thank you! I ended up here because I wanted to know the toxicity of liquid watercolors; The reason is that I found you can dye wood for toys with them. However!, Artist pigments (In oil and professional watercolors) contain very dangerous poisons! It would be quite ironic to make some "earthy" thing to protect your kids, and end up making something that off'ed children in the Victorian era. I was reminded of this because I'm watching the BBC special about hidden killers in Edwardian and Victorian home (on Amazon Prime). In the same series they warn of the dangers of SWALLOWING RAW RICE! It was tried as a beauty aid by one woman and tore her stomach open! It does not soften without boiling! Please take note of these facts. And please clarify your use of the phrase "replacement for food coloring" for any stray misguided visitors! Hi there, all the liquid watercolors we link to and recommend are AP Certified. I don't recommend using "artist pigments" or other materials that have been found toxic for children. As always what parents choose to use with their children is their choice. Yes, they could be used for sand art. No, they aren't edible. They are a non-toxic paint. If you want vibrant cake colors I'd recommend gel food coloring. Happy birthday to your daughter! Thank you. That makes sense. I just wanted to clarify. Thank you for the birthday wishes. I have an odd question. Can Liquid Watercolor be added to a liquid base such as corn syrup or clear Elmer's glue? I am trying to make some props for a Harry Potter theme and one is a "golden liquid". I am trying to see if gold liquid watercolor would work or if I need to go with gold food coloring. Note, this isn't to be consumed so that isn't an issue. However, I need the liquid to retain its color and not "settle" into two colors and I don't want something that is going to permanently pain the inside of the bottle (such as using glue and an acrylic paint). Thanks. Hi there, so I think this would work well because corn syrup is so thick. The gold liquid watercolors do tend to settle, but I suspect the viscosity of the corn syrup would slow/stop that process. I can't say for sure because I've never tried it, but I think it would be successful. I hope that helps!